ROVs have come a long way as well. Faster communication these vehicles to do that they currently cannot do? That’s a key differentiator for Oceaneering: we have our can use less vessel days in the support of their ? eld develop- own in-house software development teams. All of our con- ment, operations, and maintenance, then we’re going to lower trols software is developed by our staff engineers, and we’re the overall cost of ownership and open up new opportunities. 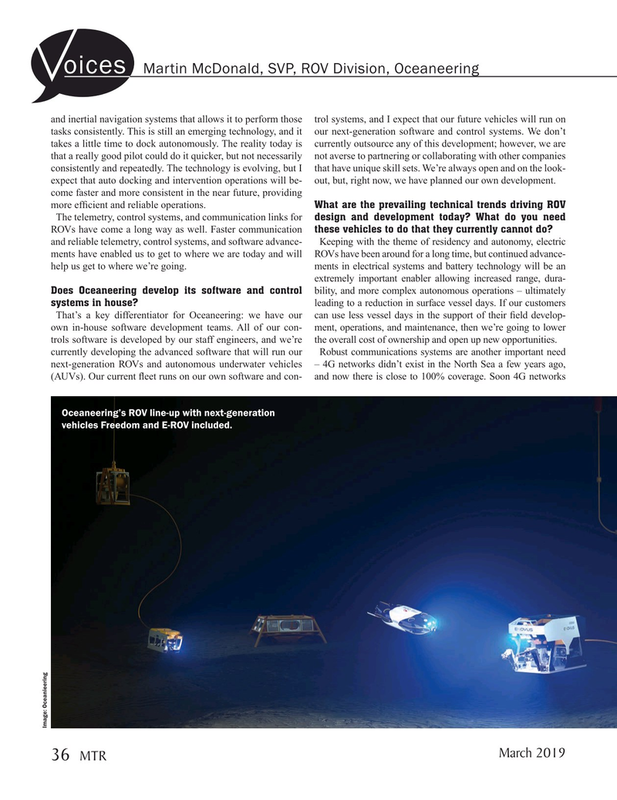 Oceaneering’s ROV line-up with next-generation vehicles Freedom and E-ROV included.